This project studies the Tibetan Autonomous Region (TAR), a unique area of the world from a three-fold perspective. A comprehensive historical, political, and environmental study is conducted and used to merge these three interrelated topics into a broad based assessment of the current status of this disputable Chinese province. The land that supports a nations people is a very elementary, yet obviously important asset to the survival of the state. What is distinctive about Tibet is that its people are controlled under the authority of the People’s Republic of China (PRC). Therefore, the Tibetan people do not have the exclusive power to influence the decisions that are made concerning the management and preservation of its natural resources. 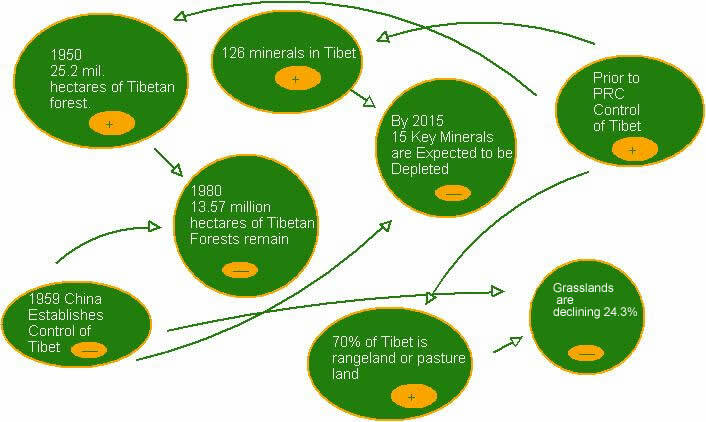 A study of how the PRC is administering the environmental doctrine of Tibet’s grasslands, forests, water supply, minerals, wild life, and nuclear contamination is performed. The evidence gathered leads one to believe that the governing of Tibet by the People’s Republic of China (PRC) has been a significant contributor to the decline of a Tibet’s natural resources. 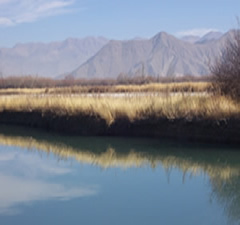 Environmental Degradation in the Tibetan Autonomous Region examines and intertwines the unique history of Tibet with the current political occupation by the People’s Republic of China (PRC) and discusses the resulting environmental impairment. 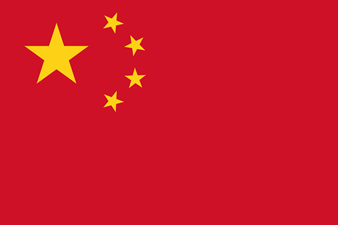 The People’s Republic of China has governed the Tibetan Autonomous Region since 1959. Prior to the PRC taking charge of Tibet, it was an independent kingdom. As is the case for much of South East Asia, the political history of the Tibetan region is vast and expansive. 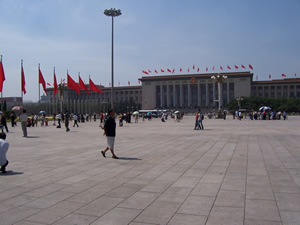 There is considerable dispute as to when China initially established claim on the region. The Tibetan government believes it was independent dating back 700 years, until the Yuan Dynasty conquered it. The Qing Dynasty subsequently defeated the Yuan dynasty in 1720. The understanding by the Chinese government is that Tibet has long been incorporated as part of China throughout the various dynasties, hence, they are historically part of China. In1912 the Qing Dynasty fell and the people of Tibet proclaimed they were a sovereign nation. (1) Tibet Between 1912 and 1951 Tibet governed itself independent of China. 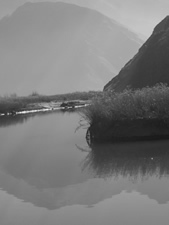 There are a number issues surrounding the environment of Tibet. The priority issue of Tibetans is regaining their status as a sovereign nation. This is by far the most volatile topic concerning Tibet, one that has deep roots that extend through both the political and historical landscapes. 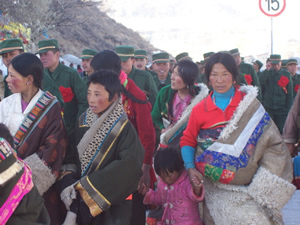 Although the cause of the conflict cannot be directly attributed to the environment, it is the natural riches of the Tibetan region that make it an attractive portion of land for the Chinese to posses. Many argue that Tibet is an important region to China for two reasons: The first being the ability to access Tibet’s vast amount of natural resources. The second is to have a buffer of land separating China from possible western threats, possibly India. Hence, the conflict is indirectly attributed to the environment, however, the environment is a large segment of the conflict. The location of the conflict is dependent upon your affiliation with the either the People’s Republic of China (PRC) or the exiled Government of Tibet. 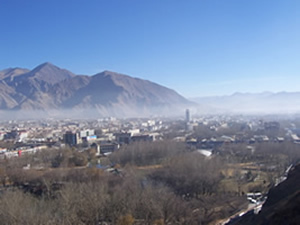 The Government of Tibet in Exile identifies the location of the conflict as a vast cultural area which formed the cultural identity for many centuries. 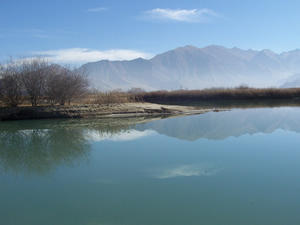 This area is made up of the provinces of Amdo, Kham (Khams), U-Tsang. However, this area does not include areas outside the People Republic of China such as: Arunachal Pradesh, Sikkim, Bhutan, and Ladakh, areas that are deeply influenced by the Tibetan culture. Conversely, the PRC identifies Tibet as the Tibetan Autonomous Region (TAR), and is considered a provincial entity. The TAR includes Arunachal Pradesh (which is presently administered by India), Sikkim, Bhutan, and Ladakh, Amdo, Kham (Khams), U-Tsang. Amdo, Kham are now considered part of the PRC Provinces of Qinghai, Gansu, Yunnan, and Sichuan. Tibet is generally cool and dry, having frigid winter and cool summers. However, it is a complicated landscape that consists of towering mountain peaks that descend down to high altitude plateaus. This makes for a wide variety of climates. Therefore, Tibet is divided into five climate regions: Northern, Southeastern, Central, Yangbajing Thermal area, and the border of South Tibet. 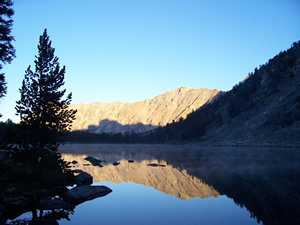 (10) Each region has varied climates, in which some at higher altitudes are much colder. Also some areas receive significantly more precipitation than others. Due to the high altitude the effects of the sun are very intense. 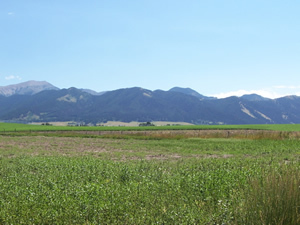 The last four decades there has been a significant reduction in these pastures that sustain life and livelihood for both animals and people alike. The biggest injury to the land has been the conversion of marginal pastures into land for agriculture by Chinese settlers. Often resulting of desertification of the land---the land is no longer fit for grazing or agriculture. (16) This problem has been especially prominent in the vast grasslands of Amdo. 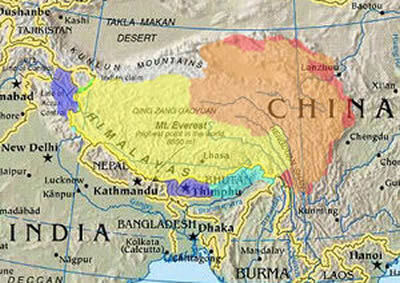 Tibet is one of Asia’s principle watersheds and China has plans to utilize this resource for numerous hydroelectric dams. (24) The electricity generated from Tibet’s rivers will be used to power the Chinese cities of Chengdu, Xining, Lanzhou and Xian. (25) One of the fiercest environmental issues in the recent history of Tibet wasa hydroelectric construction project on Yamdrok Tso, a sacred lake between Lhasa and Shigatse. Some were concerned this project could have been one of the largest environmental disasters of the latter portion of the twentith century. The project was completed in the early portion of the twenty-first century. (26) At one point during the construction of the hydroleclectric project, the PRC denied foreigers access to Yamdrock Tso. This was due to the large amount of adverse international attention surrounding the project. Another indicator of the importance of TAR’s natural resources is that between 2000 and 2005 $22.3 billion of minerals were prospected from Tibet. Tibet has a dynamic selection of minerals and ranked first in China for 13 categories of minerals in terms of net output. These minerals include: copper, chromium, boron, sulphur, magnesite, corundum and muscovite. Nearly half of China's 15 key mineral reserves are expected to be depleted within he next ten years and major non-ferrous minerals are for all practical spent, China is rapidly moving in on Tibet in pursuit of minerals. (33) Measures to preserve the environment surrounding a mining area are vaguely acknowledged. Areas of particular concern are fragile terrains that often result from mining activity. The creation of fragile terrains can lead to slope destabilization, land degradation, and the opportunity to put human life in harms way. Aside from wildlife suffering from hardship due to the loss of habitat resulting from deforestation, polluted waterways, and grasslands slipping into desertification wildlife are also subject to poachers and sport hunters granted expensive licenses to pursue some TAR’s exotic creatures. The level of Dispute is relatively low. The PRC maintains control of the region. There has been a considerable amount of deaths attributed to the conflict over time; however, there is little military engagement between the two. 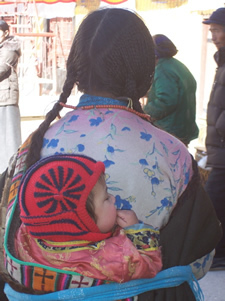 The Tibetan people have vowed peaceful resistance, but many individuals have been subject to violence at the hands of the PRC as a result of their passive resistance. The first data set I found is for the China/Tibetan War. This conflict lasted from 03/011/1956 until 03/22/1959 (1117 days). The data set listed 40,000 deaths by the State, which I will understand to be China. The data set then listed a total of 100, 000 deaths. (39) This was considered an Intra-state conflict. I understand the fatality totals to be military related. 100,000 deaths I understand to be 1(6) ratio on the logarithmic scale. The second set of data I found detailed 1.2 million deaths due to the conflict between the Tibetan people and the People’s Republic of China (PRC). (40) The source was not specific as to whether the deaths were civilian or militarily related. It could however be assumed that Tibetans killed were civilians because there has not been a formal declaration of war or military conflict between the two. I do acknowledge that the deaths attributed to the conflict between the PRC and Tibet cannot be in totality related to an environmental conflict. The dispute between the two is largely an issue of sovereignty. However, Tibet’s impeded access and ability to have autonomy over the maintenance, preservation, and allocation of its natural resources due to occupation by the PRC is a direct result of the conflict. I understand the 1.2 million deaths to be a 1(7) ratio on the logarithmic scale. The diagram on the left lists the positive environmental attributes of which the TAR posseses. These are detailed with a (+) sign. The negative effect of the PRC controlling TAR and its relationship to the down turn of the environment is detailed with a (-) sign. The level of strategic interests for the PRC I would deem to be medium to relatively high. Although, Tibet is not yet an industrial area of China it does supply a vast amount of resources for the mainland of China. TAR also insulates China from the countries of India, Nepal, Burma and Bhutan. Militarily and strategically, China, having the proverbial roof of the world between them and their neighbors is a convenient buffer zone. With that being said, land amounts to in many cases a stockpile of untapped resources. Hence, Tibet is also a reserve of resources for the Peoples Republic of China to harvest. For TAR strategically their level of interest is very high, it is land they consider their own. Without control of their land, they are unable to make decisions concerning the maintenance, conservation, and economic use of the resources. For both the PRC and TAR there are numerous reasons why both sides of this would deem the strategic interests of this issue to be relatively high. As for now it could be said that China is winning the dispute. It is estimated that 1.2 million have been killed and thousands more jailed since the beginning of the Chinese occupation. 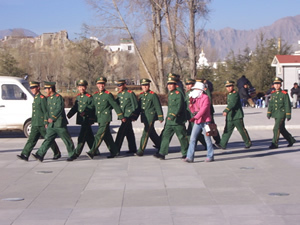 The Tibetans do enjoy some autonomy, but ultimately they are under the rule of the People’s Republic of China. 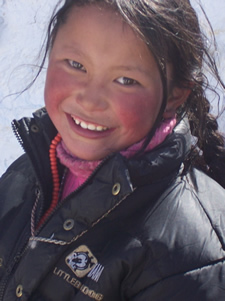 Essentially, Tibet is one of the last remaining indigenous places on earth. The Chinese occupation of Tibet can be accounted to the downward trend in the management and preservation of Tibet’s natural resources. 1.Wikipedia, “Tibet-Status,” http://en.wikipedia.org/wiki/Tibet, accessed 04.09.06. 4. Correlates of War, http://www.correlatessofwar.org/. accessed 2.20.06. 6. The Government of Tibet in Exile, Ibid. 13. 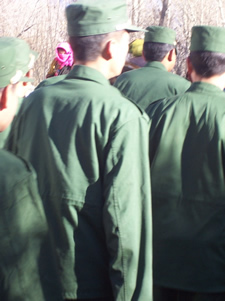 The Government of Tibet in Exile, “State of Tibet’s Environment,” http://www.tibet.com/WhitePaper/white9.html, accessed 4.09.06. 14. The Government of Tibet in Exile. 16. The Government of Tibet in Exile. 17. The Government of Tibet in Exile. 18. The Government of Tibet in Exile. 19 . The Government of Tibet in Exile. 20. The Government of Tibet in Exile. 21. The Government of Tibet in Exile. 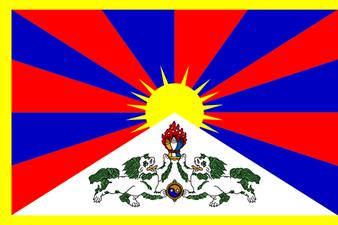 22.The Government of Tibet in Exile. 24. The Office of Tibet, New York. 25. The Office of Tibet, New York. 26. The Government of Tibet in Exile. 27. The Government of Tibet in Exile. 28. The Government of Tibet in Exile. 29 . The Government of Tibet in Exile. 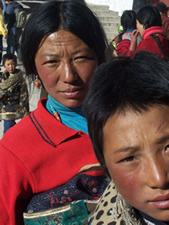 Prospects,” http://www.tew.org.development/tibet.minerals.html. (March 22, 2001) accessed 04.09.06. 34. The Government of Tibet in Exile. 35. Free Tibet Campaign-Wildlife and Land Use. 36. The Government of Tibet in Exile. 37. The Government of Tibet in Exile. 39 . Correlates of War (COW). 40. 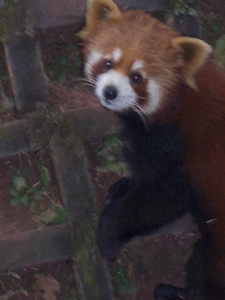 Boycott China for Tibet, http://www.buyhard.fsnet.co.uk/death_case_of_tibetan_patriots.htm. The Deforestation that was taking place in Khemer in the 1990s rivals that of the extensive deforestion in Tibet. The Diayou Islands dispute presents sovereignty and envrinmental resource management issues that are similar to the TAR/PRC dispute. 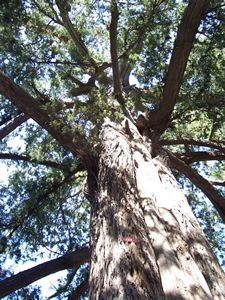 The Teak case study presents timber management issues that are similar to the TAR/PRC situation. The Burma Pipe Line case study addresses the exploitation of natural resources and conflict that ensued. The issues that are addressed can be related to the happenings in TAR/PRC conflict. The Mindanao case study reflects a situation of rivaling interest in relation to natural resources and the resulting economic diaparities. The events in this conflict can be cross referenced to the events in the TAR/PRC conflict.